(Syndicated) Visual Radio & TV you can almost feel! Enhancing the success rate of home based businesses! Give LOVE T.A.P.S (Tell A Positive Story) to someone and receive FREE advertising on the radio! If you want to be interviewed on the show complete the form below. SCROLL DOWN FOR ARCHIVE SHOWS! Our prayer is that ASA Network Radio and TV will be a positive beacon in the lives of 10's of millions of people all around the world! SCROLL DOWN FOR POD CAST SHOWS! LOVE T.A.P.S - TAPS stands for Tell A Positive Story! Where you tell us about some business or someone who has shown you some love or has provided great customer service and you will have the opportunity to share with our audience what you are doing in business. This is FREE exposure for your business when you share a positive story about someone else! ASA Network 10 minute Business Interview - If you have a great story to tell we want to hear from you. Let us know and we may ask you to be on the radio show as a guest to tell us all about you and your program. 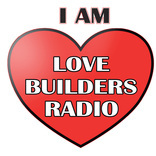 I am Love Builders is a show that is devoted to all things dealing with relationships and communication. Whether you are married or single you will enjoy the show. Share a Love T.A.P.S (Tell A Positive Story) with us and we will share it and your business information on the radio as well. Post it on iamlovebuilders.com or our Facebook page, just do a search for iamlovebuilders. At “Pain to Purpose” well will talk about how you can activate your passion and purpose in life! Pain to Purpose is a show that is devoted to helping you find and activate your God given purpose! We know that without purpose all else is irrelevant! 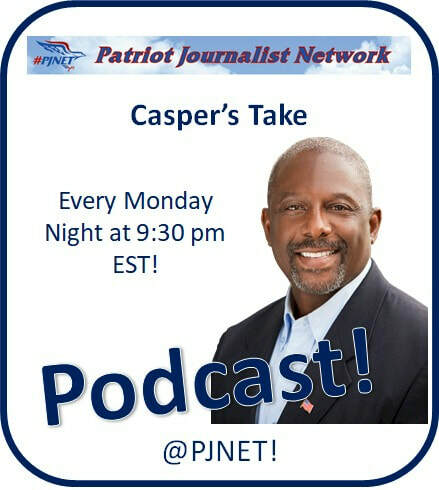 At “Casper's Take” we will talk about the 2 subjects they tell you to NEVER discuss. Politics and Religion. This is not by chance, keep talking! UNPLUG from the lies, hate, left & right noise, fake news, swamp and racists! JOIN US for some straight TRUTH! At “Citizens Uplugged” we will talk about the 2 subjects they tell you to NEVER discuss. Politics and Religion. This is not by chance, keep talking! UNPLUG from the lies, hate, left & right noise, fake news, swamp and racists! JOIN US for some straight TRUTH! At “Bible-2-Business” we believe in Working Hard and Praying Hard to enhance the success rate of your home based business and keep you out of the NFL which stands for No Friends Left Club! We talk about EVERYTHING from Bible to Business and we also want to pray for you and your business. If you would like specific prayer please post it on asanetwork.biz or our Facebook page, just do a search for asanetwork. ASA Network Presents - Sharpen Your Business Axe Series! Keeping You Out of The NFL, No Friends Left Club! Segment Description: The segment will run 10 minutes once a month on a local radio station in the Denver area on the Experience Pros Radio Show! The show airs from 12 noon - 2 pm (EST) every week day. The Sharpening Your Axe segment will run during the 1st half of the second hour. They are currently in many US markets around the country and are growing all the time. The show will also be streamed LIVE over the Internet on KLZ 560 The Source. As the segment grows in popularity we can and will increase the hours of our show. Segment Focus: The segment will focus on the tools, Strategies and Techniques we teach here at ASA and in the book "The Golden Business Solution" to sharpen your home based business skills. We will work to engage the listener to take action every month to grow their businesses and keep them out of the NFL Club. Please complete the form below to request an On Air Radio interview! Also email us your BIO or any other relevant electronic information. That I need to supply a picture for my radio interview. That I need to provide a BIO for my radio interview. That I need to provide questions for my radio interview.